We’re always curious to discover what keeps people so involved in our mission. We sat down with Liz to discuss what keeps here so inspired. MH: How long have you been involved with Mercy Housing? Liz: In July 2002, I was hired by Lakefront Supportive Housing (then Lakefront SRO) as Director of Human Resources. Lakefront Supportive Housing became part of Mercy Housing in 2006. So that makes 16 years for me with Mercy Housing Lakefront. MH: How did you get involved with Mercy Housing? What attracted you to Mercy Housing as an organization? Liz: I had previous experience at a nonprofit agency and heard about the great work that Lakefront was doing. In all honesty, I was seeking a new opportunity and had two job offers on the table. I happened to see a former supervisor and asked him what he thought. He gave Lakefront great reviews, told me not to hesitate and I followed his advice. Fifteen years later I’m still glad that I did. MH: Looking forward, what excites you about Mercy Housing? Liz: I’m excited about Mercy Housing’s continued dedication to filling a need that is so often overlooked. We aren’t daunted by hurdles. Mercy Housing persists! MH: Why are you passionate about affordable housing? Liz: On my way to and from the train every day I walk past people sleeping on the sidewalk or in doorways. My church is part of an organization called PADS (Public Action to Deliver Shelter), an organization that provides a variety of services to individuals and families who are experiencing homelessness or have formerly experienced homelessness. Our PADS participation is a part of a network of 16 overnight emergency shelters (ours is a shelter for women and children) one night each week. Many of the mothers are employed but just can’t afford housing. These families would otherwise have nowhere to sleep during the months of October through April. I am proud to say that I work for an organization that sees the need and is working to alleviate it! We don’t just shake our heads and look sad – we go to work! MH: How do you see yourself making a difference in the lives of Mercy Housing residents? 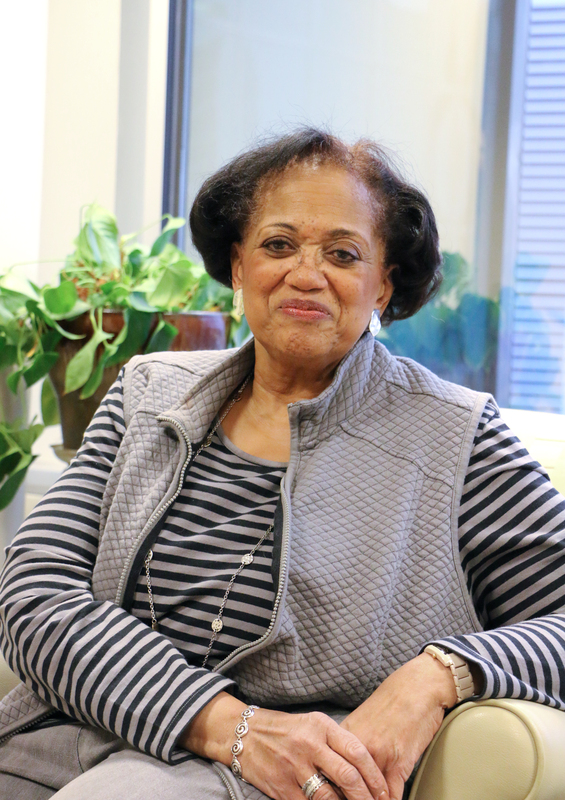 Liz: Working in Human Resources, I don’t directly make a difference in the lives of Mercy Housing residents, but I am deliberate about telling the story. My family says that my middle name is “Affordable Housing” because I enthusiastically share information about our success stories, our new properties, and our hopes for the future. Just about everyone who knows me knows about Mercy Housing. MH: As a nation, what improvements have we made regarding affordable housing? Liz: Nationwide improvement is slow. I think that there has been some acknowledgment that slum lords and traditional housing projects aren’t an answer to affordable housing needs. There seems to be a small effort to address the problem, but it’s small and slow. MH: Mercy Housing does more than put a roof over people’s heads, we offer a rich variety of extra programming (e.g. health & wellness, education, substance abuse assistance, etc.). Why do you think these programs are important? Liz: All of these are important for a good quality of life. These programs say that we look at the ‘whole person,’ we value them, and we want to address their needs and help them move forward. MH: Where would you like to see Mercy Housing five years from now? Liz: I would like to see more housing for homeless veterans and their families. I also hope that there will be more funding for Resident Services. MH: What does the concept of ‘home’ mean to you? Liz: To me ‘home’ means love. Home is a refuge from challenges and threats. Home means comfort – not just physical, but emotional also, someplace where you can exhale. I have learned from our residents that ‘home’ starts with a key to a place that is your own. A key is a very valuable thing that many of us take for granted!